The physicians and staff of A&AS celebrated the retirement of Doctors William Spiegel and Stanley Forman. It is a bittersweet good-bye to Dr Bill and Dr Forman who will be retiring in June. 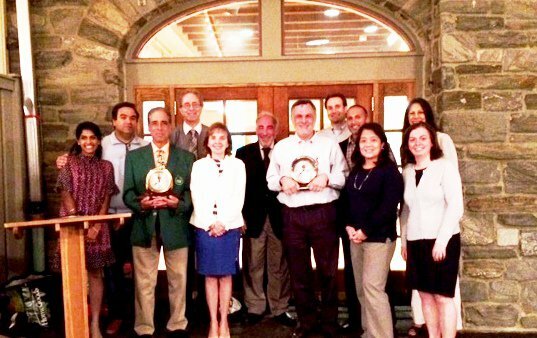 The practice honored them both with a retirement dinner featuring accolades and reminiscences from the staff. They were gifted with presidential brass clocks inscribed with their names, the A&AS logo and a message of the practice’s deep gratitude and appreciation of their service and care of patients. We will miss them more than words can say.